React 16.6 was released this week and code splitting with Suspense is probably the most interesting feature included in my opinion. When apps start to grow you can easily end up including too many components making it heavier and slow to load. One of the solutions to this problem is Code-Splitting and Webpack is probably the most popular tool in the React ecosystem to perform the task of bundling and generating files that can be dynamically loaded at runtime. So if you ever wondered why we use so many import statements in our React apps, that’s the reason. Code-Splitting combined with lazy loading can help improve not only the performance of your app but the user experience by loading only the Components that really needed instead of loading everything during the initial load. It’s actually not that hard. Let’s see a simple React “app” as an example. I modified the default code generated by the create-react-app tool and included a new component called Cat.js. 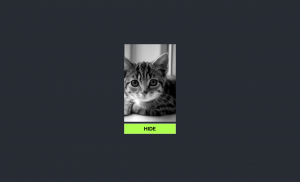 The Cat.js component consist of just an image tag that shows a kitten from placekitten.com. Notice there’s a fallback prop, that’s used to give feedback to the user when the Component is loading and it could be just a message like “Loading…” or it could it a another Component showing a loading spinner for example. That “0.chunk.js” file at the bottom includes the Cat.js Component. And that’s all you have to do. Obviously this is a simple example, but this same implementation can be used in other interesting places, for example in routing. You can find this code here: https://github.com/gigo6000/react-suspense-lazy-example . Why use React.lazy and Suspense instead of React Loadable? I think this is the question most React Loadable users are asking right now and the answer is pretty simple, because it’s a native solution. This happens every time a technology integrates something done by a third-party tool, in this case one of the most important reasons to switch is that you will have less dependencies in your project and that also means less things to load in your app, so there’s a performance benefit if you switch. Less is more, they say. But something important to consider before switching is that React.lazy and Suspense are not yet available for server-side rendering, so if you do code-splitting in a server rendered app, you should better keep using React Loadable. Important: Suspense at the moment is meant to be used for code splitting not for data fetching or caching yet. Note: Suspense in 16.6 is meant to be used for code splitting. The data fetching part isn’t ready yet! Don’t use any “cache” package until we document and release it as stable. 🙂 Unless you’re just experimenting.